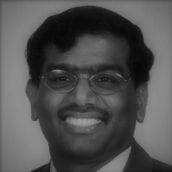 Dr. Gowri is a building science and energy modeling professional with more than twenty five years of experience in energy code compliance and energy simulation software development. He led the Energy Plus Cloud project and served as product owner for Revit-Insight energy design tool at Autodesk during 2014-2018. Prior to joining Autodesk, he was a Senior Research Engineer at the Pacific Northwest National Laboratory where he led the Building Energy Codes software development team and Targeted E4 (Energy Efficiency Expert Evaluation) team. He graduated with his Masters and Doctoral degrees in Building Engineering from the Centre for Building Studies of Concordia University, Montreal, Que. In his spare time, he enjoys playing tennis, stringing racquets, gardening and photography. He can also be spotted as an ITA/USTA official at local tournaments.